FusoPortal was developed and maintained by The Slade Lab at Virginia Tech. It takes a village to build a website and repsitory. While the passion for creating FusoPortal came from the laboratory of Dan Slade at Virginia Tech in the Department of Biochemistry, it took a computational biochemist to automate parts of the website so that we didn't have to hand write the >10,000 HTML pages present here. In came Justin Lemkul, PhD to save the day. Dr. Lemkul is an Assistant Professor at Virginia Tech in the Department of Biochemistry and a world leader in molecular dynamics (MD) simulation models. Not only that, but he truly is a PERL and scripting wizard, which made creating individual pages with functional annotation for each gene possible in an efficient manner. 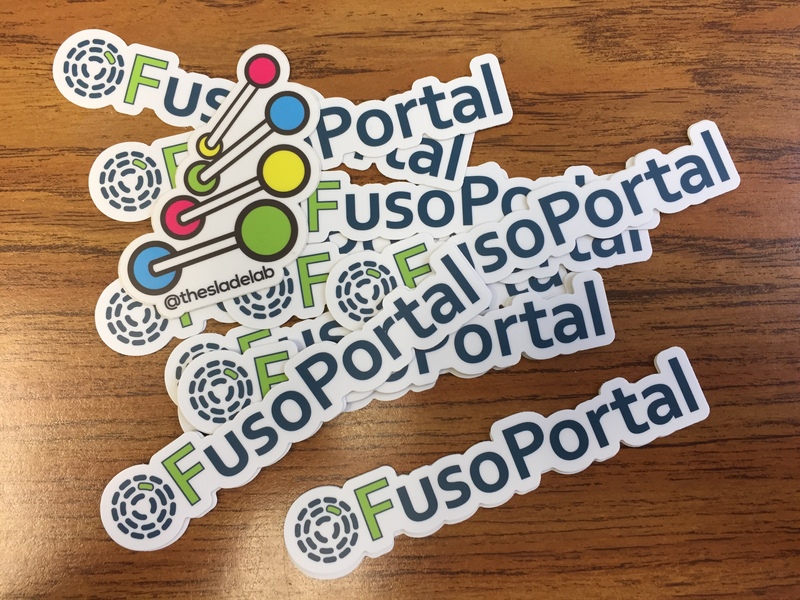 We're very excited to have his expertise guide even more great improvements to FusoPortal! In addition, Kevin Lahmers, DVM, PhD, a Clinical Associate Professor in the Department of Biomedical Sciences & Pathobiology at the Virginia-Maryland College of Veterinary Medicine has been critical in our effort by opening the doors to Oxford Nanopore MinION sequencing. Dr. Lahmers will continue to be a critical part of this team as we continually expand the number of available genomes on FusoPortal. If there is one thing that we love, it is stickers to put on laptops, water bottles, refrigerators; you get the point. We're happy to send you one so you can snazz up whatever paraphernalia you choose, and we would love to have you mention us and share a picture (@fusoportal) on Twitter! To make this happen, just send Dan Slade an email including your address and we'll see what we can do! Email: dslade [ at ] vt [ dot ] edu.